Kenworth lover Wendy Friedberg carts milk from Shepparton to Melbourne - perfect for work/life balance. Wendy Friedberg beyond the wheel of a GJH Management milk tanker. 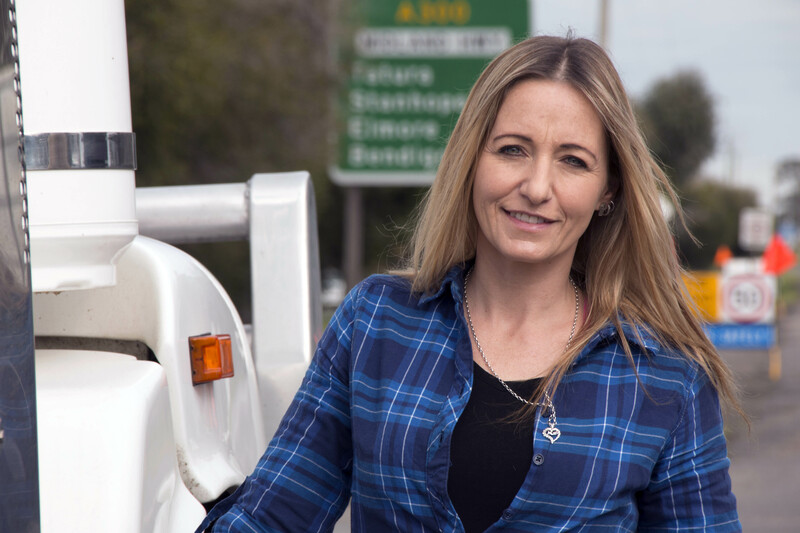 Wendy Friedberg’s trucking career began in Benalla six years ago when she climbed into a light rigid at StarTrack Express. She wanted to drive a bigger truck, so in 2013 she obtained a HR licence and began driving for TNT. A year later she passed her HC licence and drove a semi for Visy. "Then all of a sudden it just becomes an addiction," says Wendy who lives in Shepparton, Victoria. "I think it’s just something that you have a passion for and once that passion starts there’s no stopping it." The Kenworth lover says a highlight of her career was driving interstate in a "big beautiful flash K200" for D&D Roadtrans. "All my dreams had come true at once." Wendy Friedberg drives a 2003 Kenworth 404ST from Goulburn Valley to Melbourne. Wendy passed her MC licence early this year and fulfilled another ambition when she pulled B-doubles for Jacobs Bulk Haulage. She loves trucking because of the sense of freedom and accomplishment. "You’re the one who’s in control of getting that freight to the place on time. The sense of achievement is huge." The mother-of-five says it was difficult being away from home up to six nights a week when she was driving interstate, but support from her husband Larry made it possible. Wendy recently changed jobs so she could spend more time at home with Larry and her youngest son Joshua. Now she drives a milk tanker from the Goulburn Valley to Melbourne for GJH Management. "I’ve got really high hopes for this job – to still be able to drive a Kenworth and be home each night." Wendy is grateful to her mentor, Dean Jacobs, who freely shares knowledge he has gained during his decades in the industry. She encourages women of all ages to consider truck driving as a career. Read the full story in the October issue of Owner//Driver.